In Ukraine, PPPs have been slow to catch on, initially because the business climate was so weak. The country’s neighbors were all more successful at implementing PPPs: Poland has 65 PPP project underway according to the Ministry of Economy’s PPP database, and Moldova’s first PPP established a radiology and diagnostic imaging center. But none of Ukraine’s neighbors have done as well with PPPs as its Black Sea neighbor, Turkey. Read more on the World Bank Group’s PPP blog. Solid waste management is a major problem in Ukraine. A 2014 Russian-language study by the International Finance Corporation (an update in English was just released but is not yet online) reports that Ukraine produces up to 13 millions tons of municipal solid waste annually with recycling rates in the 3 – 8 percent range. That means most solid waste ends up in its 6,700 landfills and dumps, many of which are unauthorized, overfilled, or fail to meet sanitary requirements..
Government has taken some positive steps to deal with the problem: it’s improved solid waste management legislation and plans to meet European Union standards for recycling. But Ukraine is grappling with an economic crisis, a simmering war with Russia, and 1.3 million internally-displaced persons in urgent need. Simply put, government doesn’t have the resources – not financial, technical, or managerial – to fix these problems anytime soon. This spells bad news for ordinary citizens. Toxic pollutants contaminate water and soil, and landfills emit methane, a virulent greenhouse gas. Landfills are running out of space. And the economic cost of not recycling – in terms of lost raw materials – are significant. Clearly, government needs to develop and implement a sound solid waste management strategy. Part of that strategy should include partnering with the private sector through public-private partnerships. How Can PPPs Help Ukraine’s Solid Waste Management Sector? Designing, building and managing modern landfills, including waste collection and transportation. Several Ukrainian cities, namely Vinnytsia and Ivano-Frankivsk, are already developing PPPs to capture landfill gas and use it to generate electricity. Is the Private Sector Interested? With a sufficiently high tipping fee, which covers the costs of managing landfills, a multi-year PPP can be a source of stable, long-term income for the private operator. Ukraine has significant amounts of waste that have not been tapped for recyclables or landfill gas. An efficient private sector player would have the opportunity to exploit these resources profitably. Because of uncertainties over the price and availability of imported gas, mostly supplied by Russia, the Ukrainian government is eager to identify new ways to generate heat and electricity. Solid waste can be used to generate both. Ukraine has a special Green Tariff for electricity generated from renewable resources. The amount depends on the source of power generation. Can this work? There are many examples of successful PPPs in the sector. One example is a landfill in Berhampur, India, where the operator will process 150 tons of waste per day. Another example is in Wenzou, China, a city of 2 million, where a PPP converts waste to electricity. Regulatory risk. Legislation impacting PPPs, concessions, tariffs, and budgets is still developing. There is a risk that regulatory changes could impact the business model for the worse. Critical regulations, therefore, should be identified and contract terms developed to ensure that unexpected changes do not undermine the economics of the PPP. This could include tariffs, special green tariffs, tipping fees, permits, and others. Environmental risk. Although the private sector can assume responsibility for environmental risks when building and operating modern landfills, it will not want to be held accountable for previous pollution. A thorough environmental review is essential. Technical and logistical risks. The private operator is better positioned to assume risks with construction, developing a sound logistical system for collecting and transporting waste, or developing efficient recycling systems. Risk of underestimating waste volume. Revenue forecasts depend on accurate estimates of waste volume. Overly optimistic estimates could lead to operator losses. In sum, the Ukrainian government needs the financing, business savvy and technical expertise from the private sector to develop its solid waste management sector. PPPs should be a key component of a sound solid waste management strategy. The Ministry of Infrastructure announced that the Soufflet Group, a leading player in global grain markets, will develop the SE Illichivsk Sea Commercial Port. An MOU was signed that outlined Soufflet’s intention to implement the infrastructure development project over the next few years. P3DP is supporting efforts to develop industrial parks and related infrastructure. 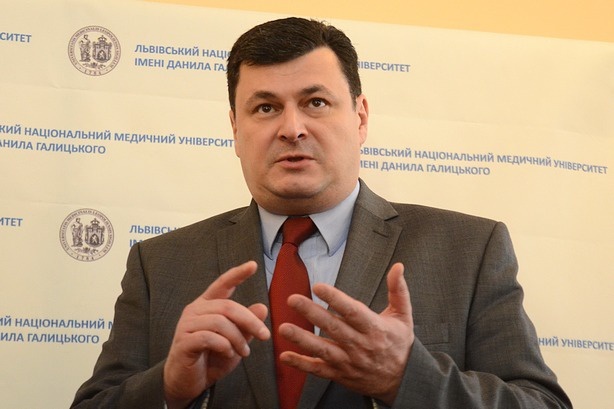 Ukraine’s Health Minister announced plans to introduce an electronic healthcare management system within one year. A single register with data on patients, doctors, and all clinics and emergency care hospitals is to be created. In addition to national agencies, municipal governments are looking for ways to overcome budget constraints to introduce e-Government programs that improve citizen services. Ukraine’s Prime Minister announced preparation of a plan on privatization, fiscal reform and restructuring of the energy sector. He underscored that the plan will emphasize transparent, fair and open tender competitions to increase foreign investment in strategic infrastructure and the economy. The plan will be presented at an international business conference on July 13 in the USA. At the IDP Shelter Cluster Meeting in Kyiv, local and international agencies, programs, and NGOs shared information on growing IDP housing needs and provided technical updates on ongoing and planned assistance. P3DP described efforts to identify specific long-term housing projects that incorporate private sector participation.